Gooding & Co has a Porsche 550 Spyder in the catalogue. But that’s not the only gem Gooding & Co has. The succesor of the Porsche 550 Spyder was the Porsche 718 RSK. The last few times a Porsche 718 RSK was sold, was during the 2015 Goodwood Festival of Speed Auction where Stirling Moss‘s personal Porsche 718 RSK was sold. One year later, Jerry Seinfeld offered 16 Porsches for sale at Amelia Island, and a Porsche 718 RSK was one of them. The 2007 Porsche RS Spyder is more modern but a car that does not change hands very often. It is not the car that all collectors are interested in. 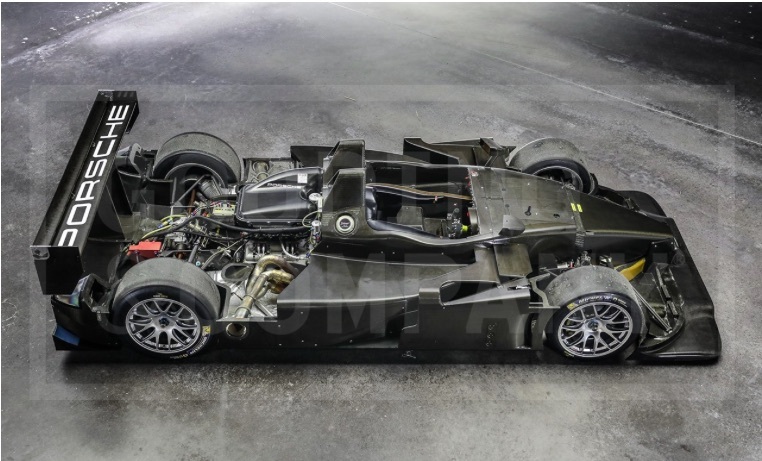 Nevertheless we are sure the Porsche RS Spyder will catch a high price. Porsche 550-0053 was delivered new by John von Neumann to first owner Eldon C. Beagle of Sacramento, California . Elon C. Beagle raced Porsche 550-0053 in 14 races between 1955 and 1956, according to a family book recording the race experiences of Eldon C. Beagle. According to the book, Beagle finished on the podium in Porsche 550-0053 in 8 of the 14 races he entered, and retired only once. March 1959, Porsche 718-024 RSK Spyder was sold new to American enthusiast and racer Ed Hugus. Hugus ran Porsche 718-024 in the 1959 Le Mans 24H in the legendary Lucybelle livery, with thin blue stripes running the length of the car and a small heart painted on the tail. By the 19th hour, the RSK was the best-placed Porsche, running 1st in Class and 4th Overall, but it was forced to retire in the 20th hour with a broken crankshaft. After Le Mans the car stayed in Europe for several months. The Porsche factory borrowed Porsche 718-024 for a ceremony celebrating Edgar Barth, who had recently captured the 1959 European Hill Climb Championship. After the return of the car to the USA it changed hands. It was used in the 1962 Pikes Peak Hill Climb and many other races.